You have only one body, and you have only one life. This is exactly the reason that The Body Series was such an important project for Kettlebell Kickboxing™ creator Dasha Libin Anderson and her team. Another fact that we all know but seem to constantly overlook: it is entirely possible to make real, lasting changes in your body over the course of 60 days. Is Taking Care of Your Body Really That Simple? KB Body Series is ideal for beginners, those looking to come back to training, or those looking to enhance their current routine. Great for busy moms, or working professionals that would prefer to train towards their goals in the comforts of their home. Another reason the Body Series works; this program is uniquely tailor made for the female body. No hard jumps. No gym commute. 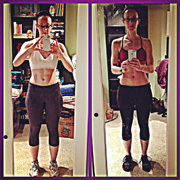 No gimmicks, No hours at the gym – 35-45 minute a day home workout and nutrition program. 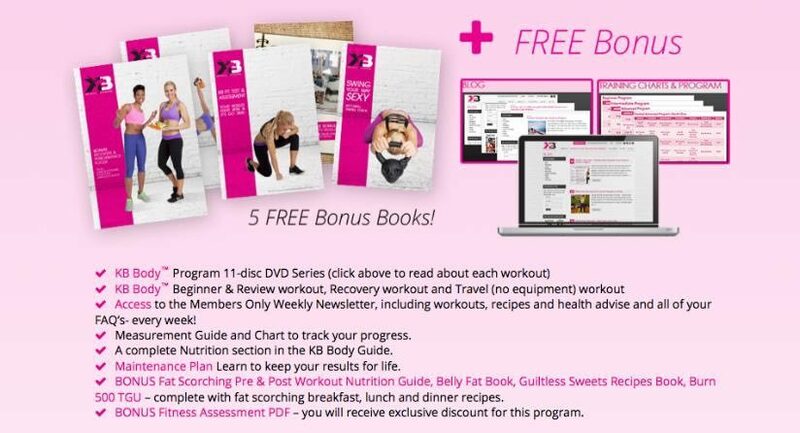 What does The Body Series Fitness Program Include? PLUS! 5 KB BONUS Books, arriving to you weekly in your inbox, as you follow the program!